Focus ST – Do you know what you’re missing? We know that a high-performance vehicle should deliver high-performance technology. The Focus ST comes standard with a rear-view camera. This feature is only an option on the upper trim levels of the Golf GTI and the Subaru WRX. It also comes standard with Intelligent Access with push-button start. Buyers of the Golf GTI and Subaru WRX will only see it as an option on their higher series models. The available SYNC3 lets drivers use voice commands to control their paired phone, the car’s audio and so many more infotainment features. The other vehicles just don’t compare! So, are you ready for your VIP Test Drive experience yet? Our friendly and intelligent sales consultants are ready and waiting to help you pick out your favorite color! Give Beach Automotive Group a call right now to get the ball, or rather your new Ford Focus ST, rolling! 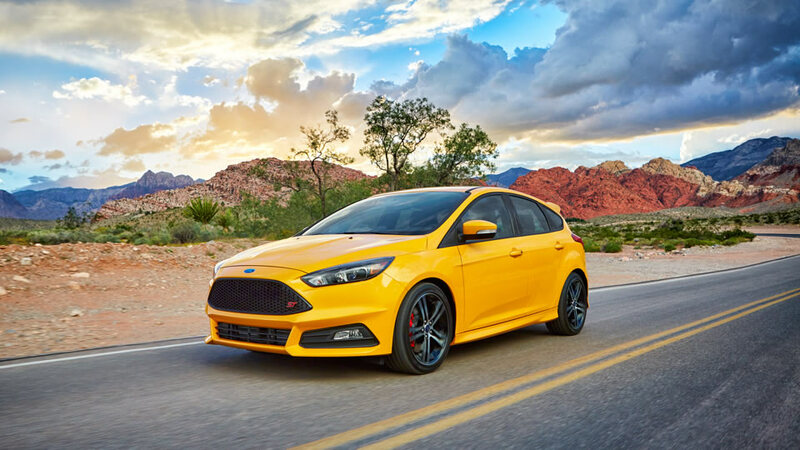 0 comment(s) so far on Focus ST – Do you know what you’re missing?